Still too cold for your flowers gardens to bloom? Don’t worry, writers are blooming at the Chesley Memorial Library! Local writers — whether beginner, much published, or somewhere in between — are invited to a free weekly writers’ workshop on Tuesdays from 2:00 to 3:30 pm at the Chesley Memorial Library now through May 22. Sessions include group critique, writing exercises, and craft discussion. Some participants may want to come early or stay late for some quiet writing time. All genres welcome. Get some writing done, learn from each other, and have some fun, too! Local writers like Carol Owen will take turns leading the group sessions with Becky and Adi Rule popping in to lead some of the sessions as well. As LRPA Highlights Cinema Noir All Month Long! Throughout May, Lakes Region Public Access Television will highlight some of the most dark and gritty movies ever to come out of Hollywood! Join us each Friday and Saturday night at 10:30 p.m. for “May Murder Madness,” a tribute to vintage film noir. This weekend (May 4 & 5), we get the month started with 1945’s thriller “Detour,” starring Tom Neal, Ann Savage and Edmund MacDonald. In “Detour,” we meet down-on-his-luck Al Roberts (Neal), an ill-fated piano player who hitchhikes to California to reunite with his girlfriend. Along the way, he gets a ride from Charles Haskell (MacDonald), who tells Al an ominous story about his recent encounter with female hitchhiker. Haskell suffers a fatal heart attack in the middle of nowhere. Al, fearful that he will be accused of murder, buries Haskell’s body, takes his possessions, and assumes his identity. He stops at a gas station, where he picks up a drifter named Vera (Savage). Vera soon figures out the situation and uses it to her advantage, threatening Al to join her in a scheme or to be ratted out to the cops. Will Al be able to extract himself from this nightmare series of events, or will Fate continue to dog him wherever he goes? “Detour” is an extremely low budget thriller, shot in only six days by director Edgar G. Ulmer. At a running time of less than 70 minutes, the movie packs a lot of story into short film. “Detour” has a cult following among fans of film noir, as it is often considered to be one of the most gloomy and existentialist examples of that genre. Famed critic Roger Ebert was a fan of this film, writing, “ ‘Detour’ is an example of material finding the appropriate form. Two bottom-feeders from the swamps of pulp swim through the murk of low-budget noir and are caught grasping in (the director’s) net. They deserve one another.” It’s a must-see! Grab your popcorn and join LRPA after dark for this dark drama from the past. CBNA FFA State Convention Delegates 2018. 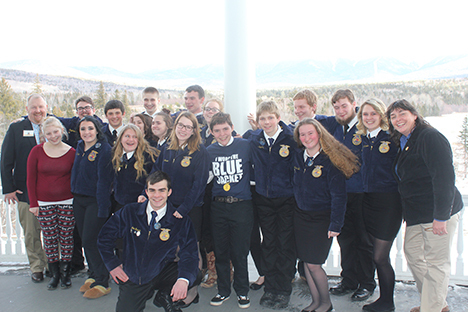 The SAE (Supervised Agricultural Experiences) Awards were as follows: Star SAE, Entrepreneurship - Matthew Messenger - Gold, 2nd place and John Renner-Silver, 3rd place; Star SAE, Placement Gold, 2nd place to Courtney Gervais, Silver, 3rd place to Colin Gollihur and Bronze, 4th place to Patrick Murray. An Outstanding Chapter Officer Award went to Sarah Jensen. 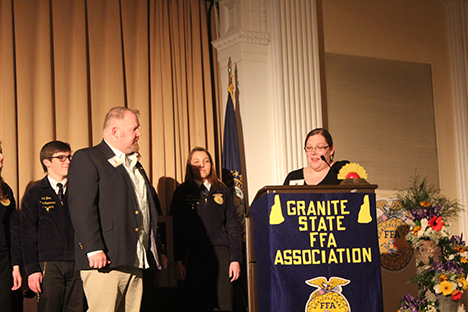 Proficiency Awards went to the following students: in Dairy Production, Entrepreneurship – Winner Gold - Olivia Pittman. In Nursery Operations – Winner Gold - Faith Wilson; in Ag Sales - Gold, 2nd place - Madeleine Lounsbury; in Div. Livestock Entrepreneurship - Gold, 2nd place - Joe Garcia; and in Equine -Silver, 3rd place Jordan Bell.